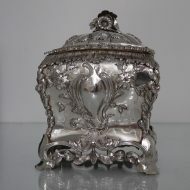 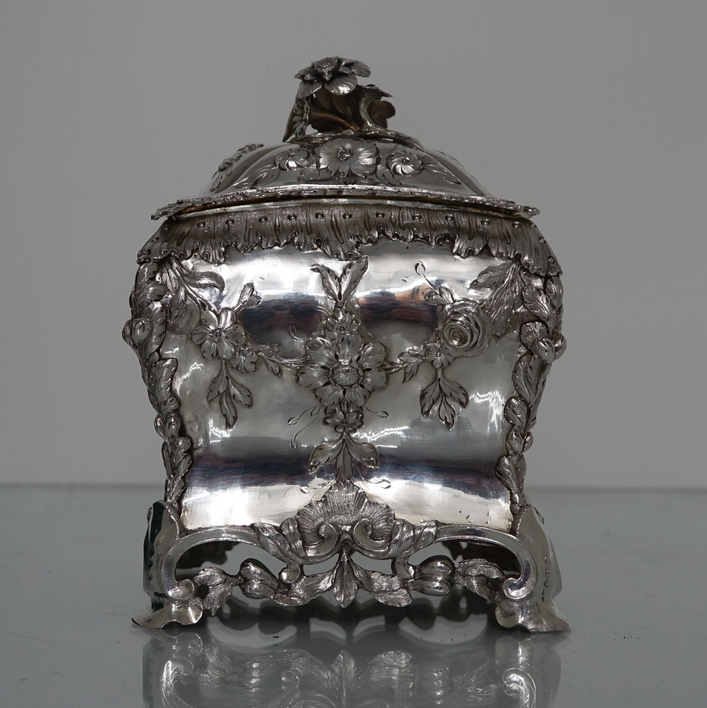 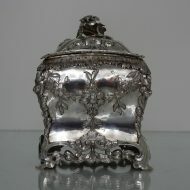 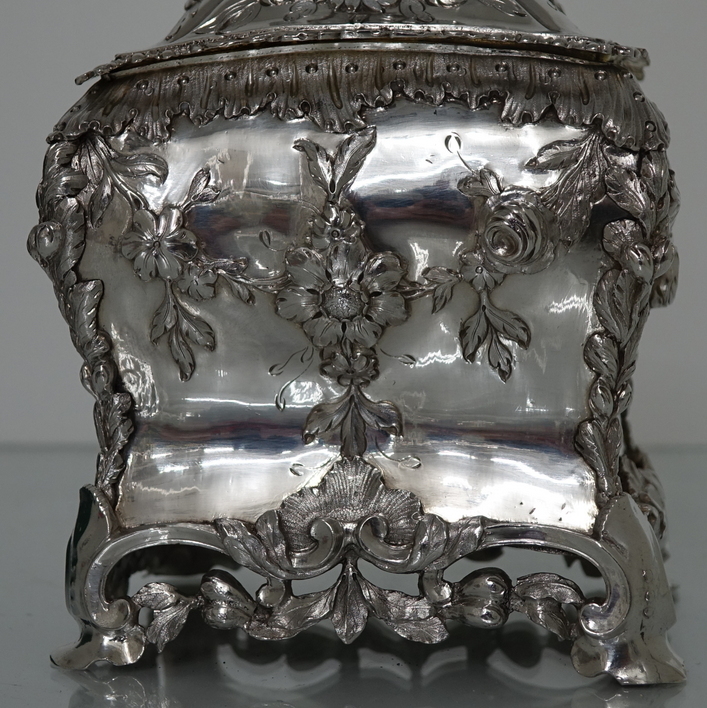 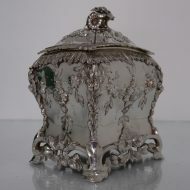 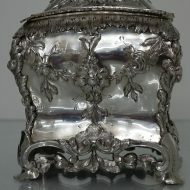 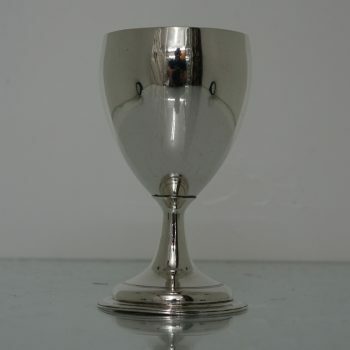 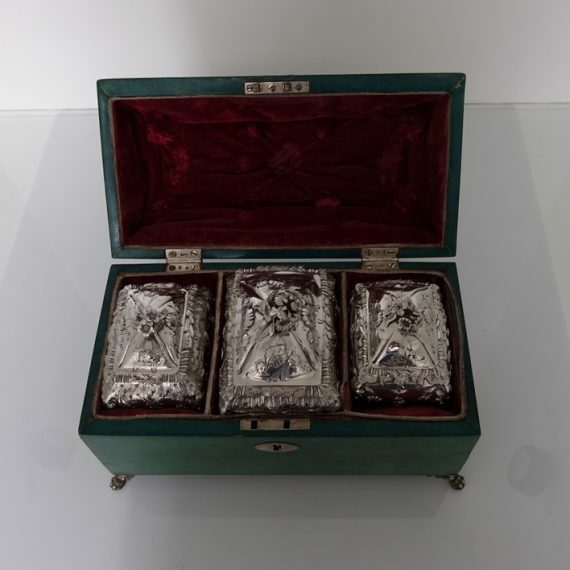 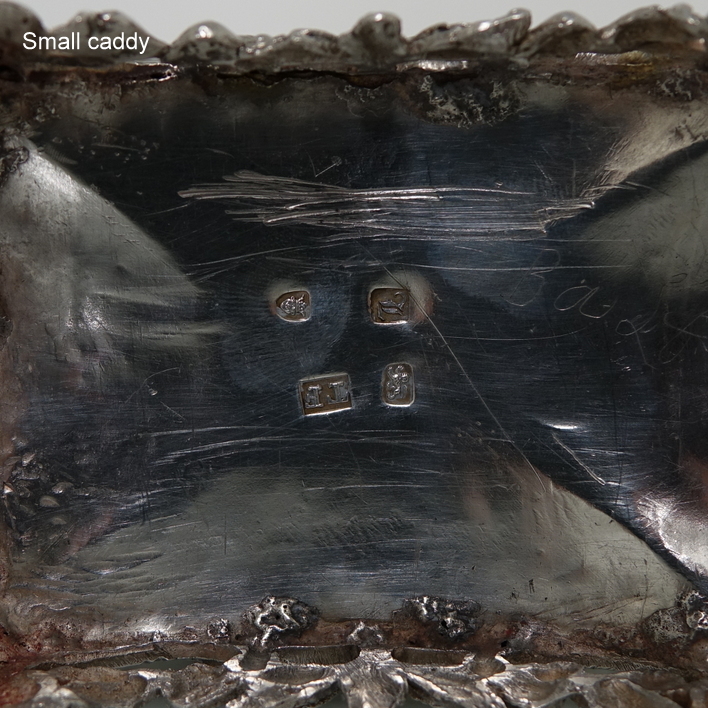 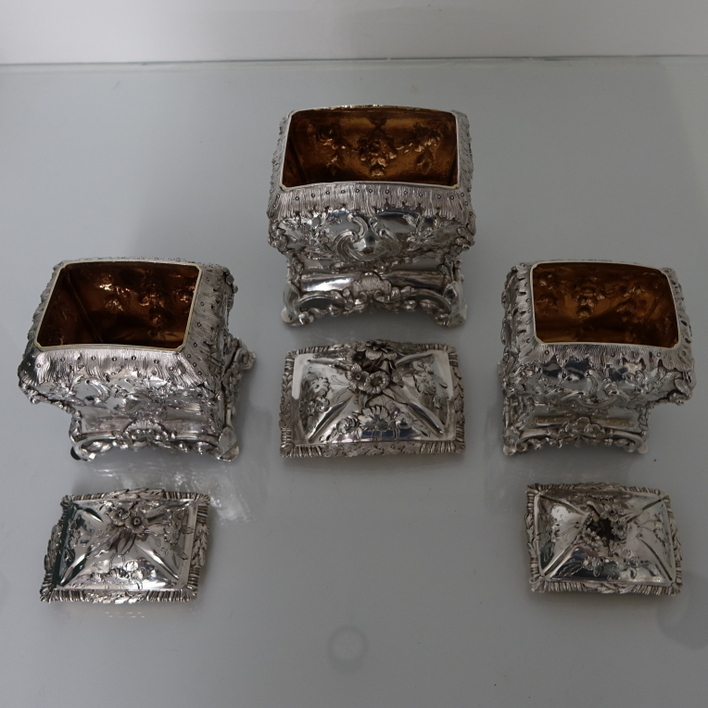 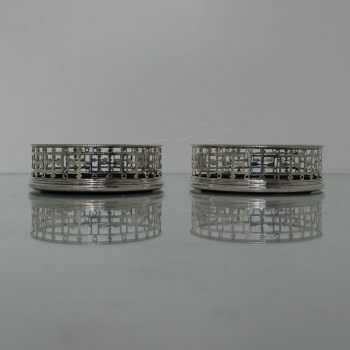 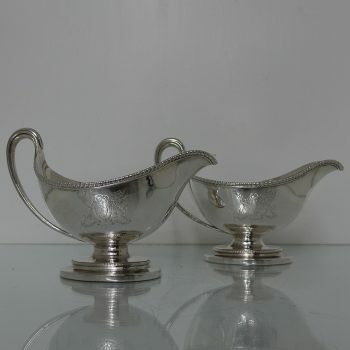 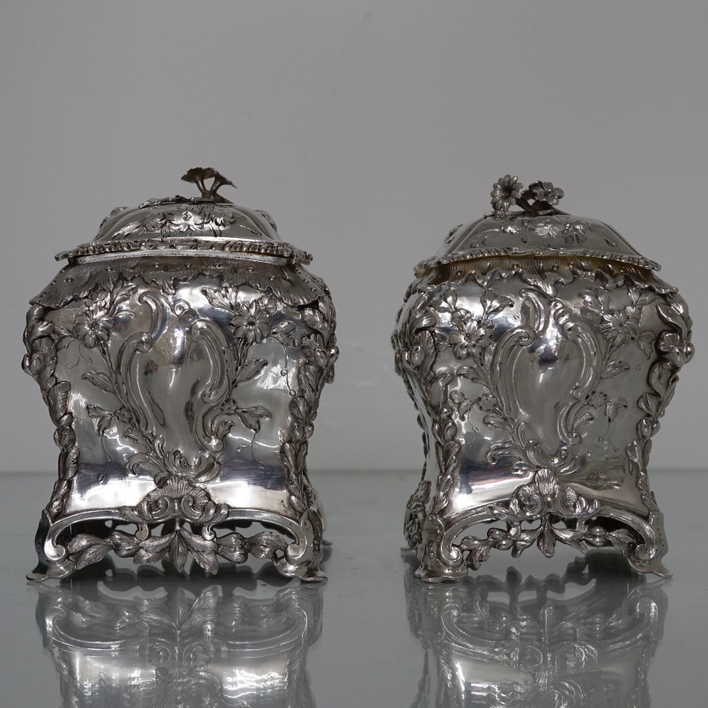 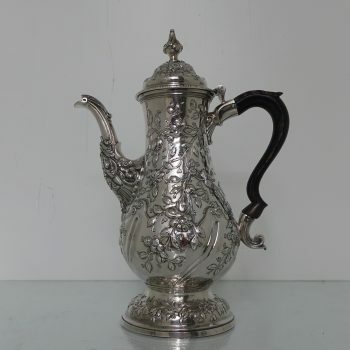 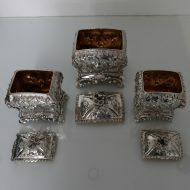 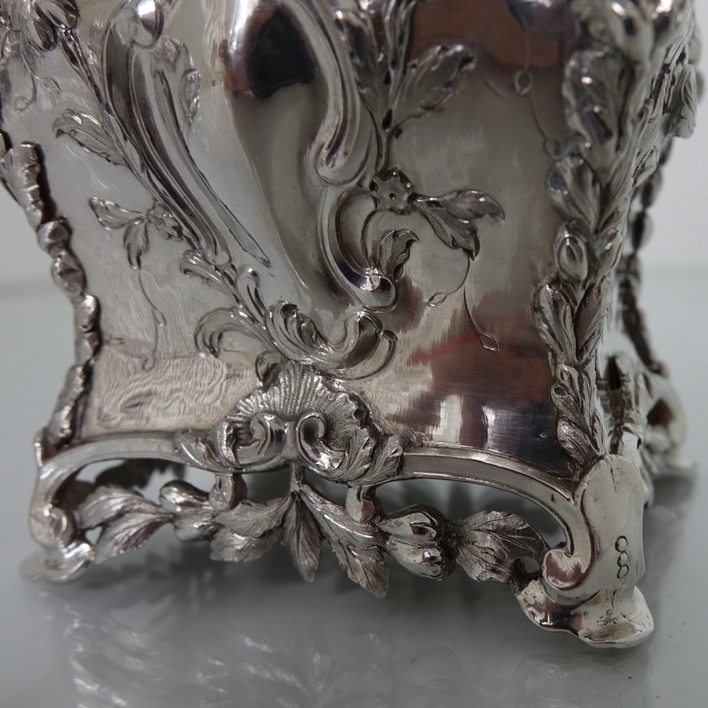 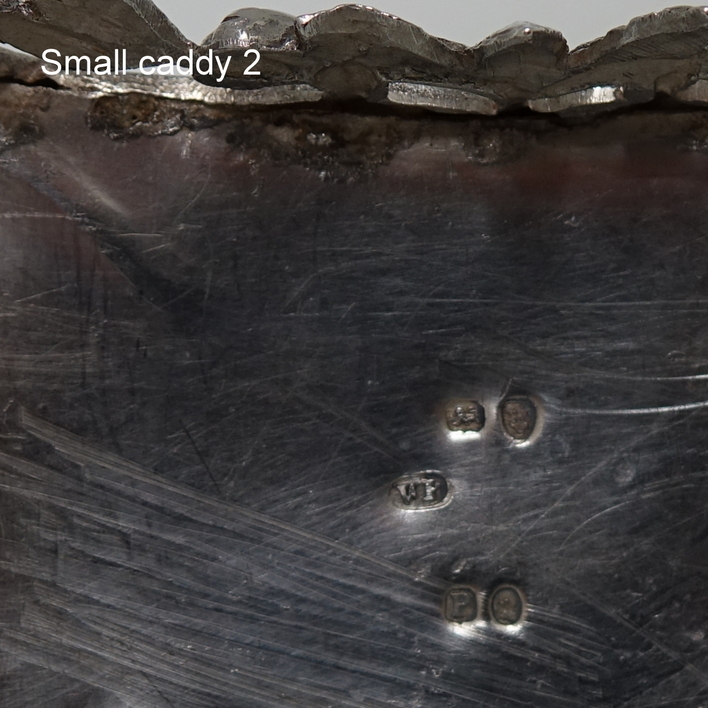 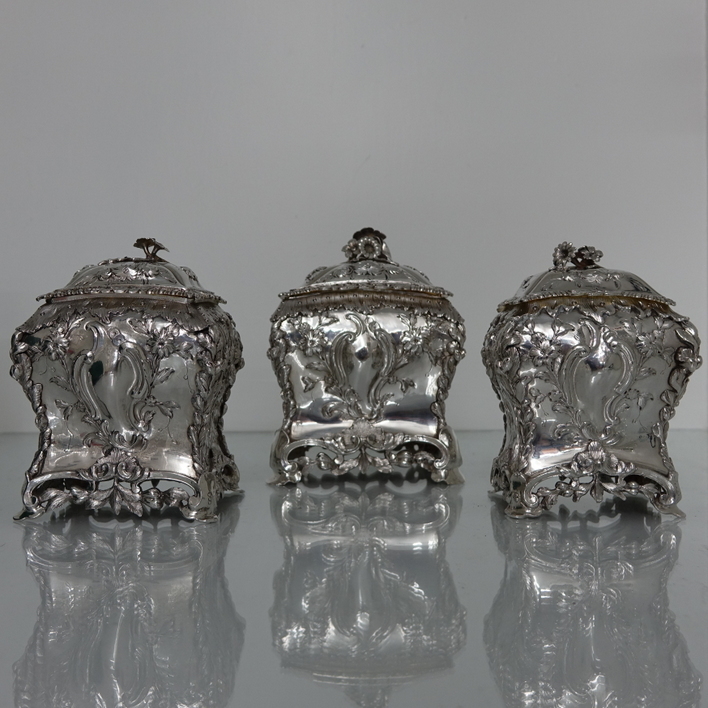 A strikingly beautiful suite of 3 silver tea caddies rectangular with bombe sides. 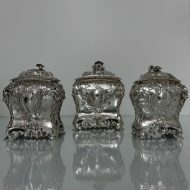 A strikingly beautiful suite of 3 silver tea caddies rectangular with bombe sides. 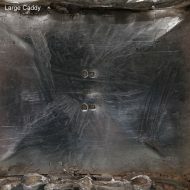 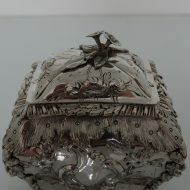 The caddies have extremely sharp rococo floral chasing throughout with matt highlights for added decoration. 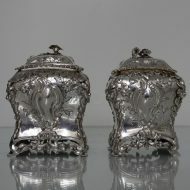 The tea caddies have detachable lids with applied floral finials and sit on four foliage-decorated feet. 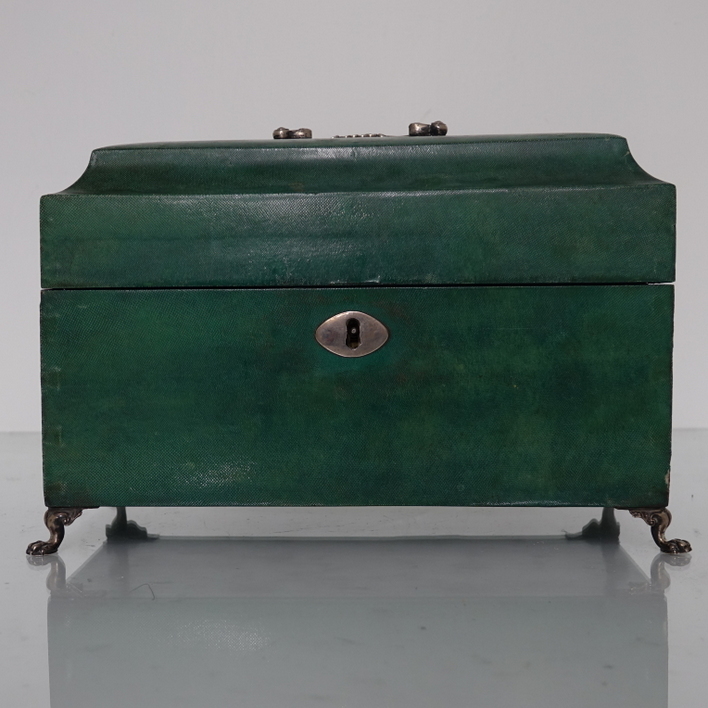 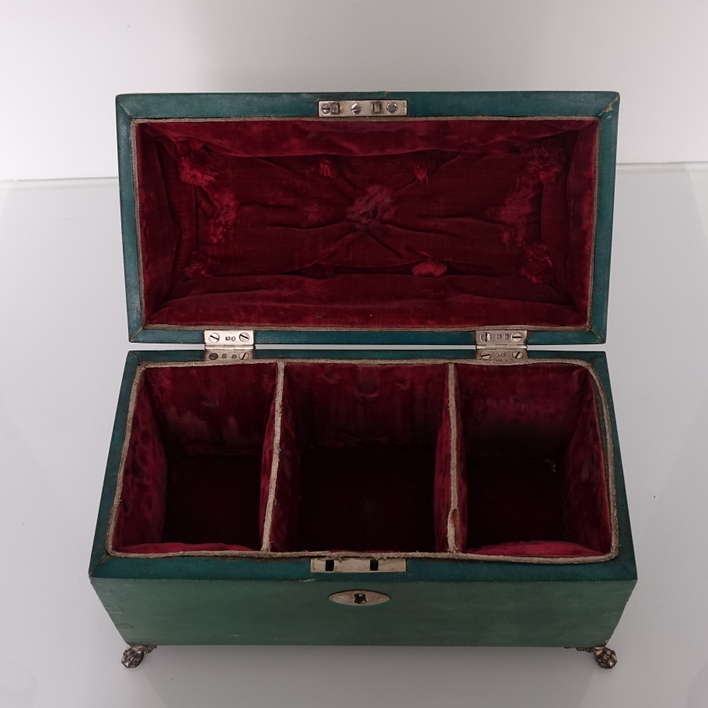 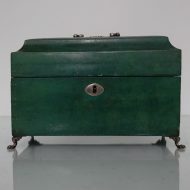 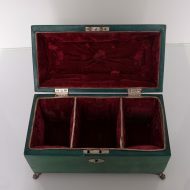 The caddies come in a strikingly beautiful shagreen and silver George III box, made especially for them in the Georgian period. 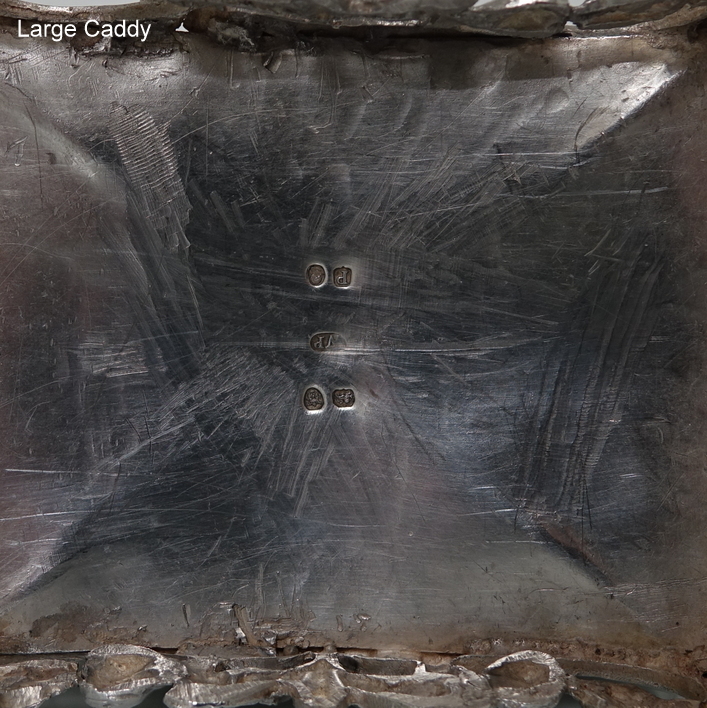 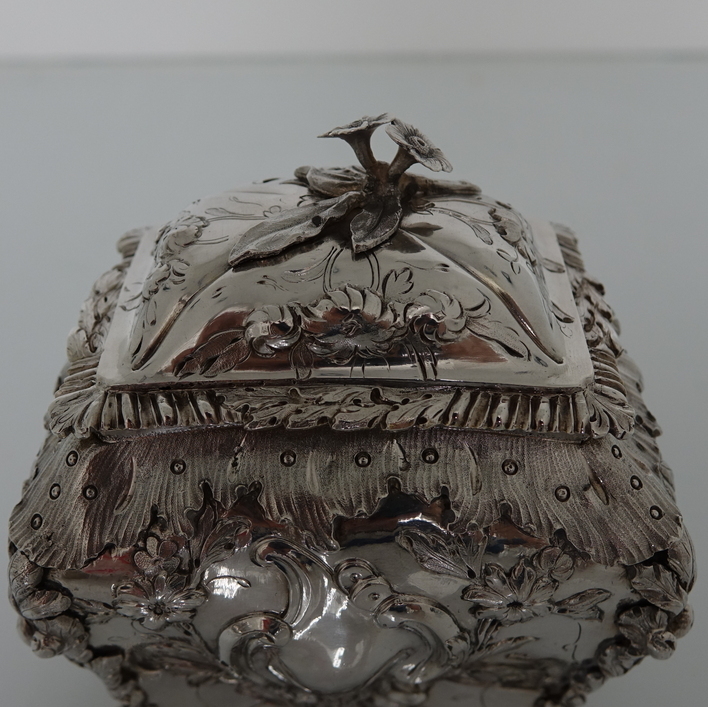 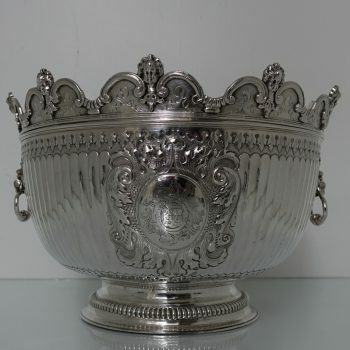 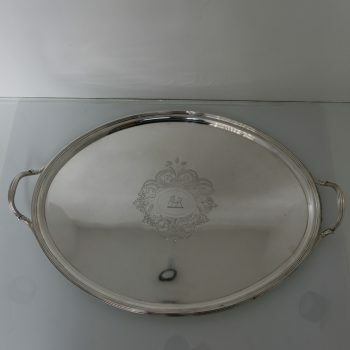 Condition: Small Thomas Foster caddy 1764 detachable lid unmarked otherwise exceptional throughout.